Today is the last day to send in fitness/diet/health questions for this Sunday’s #StyleScribeWellnessWeek Beck and Call! You can email me, DM me on Instagram, comment on this post or even send me a message on SnapChat. 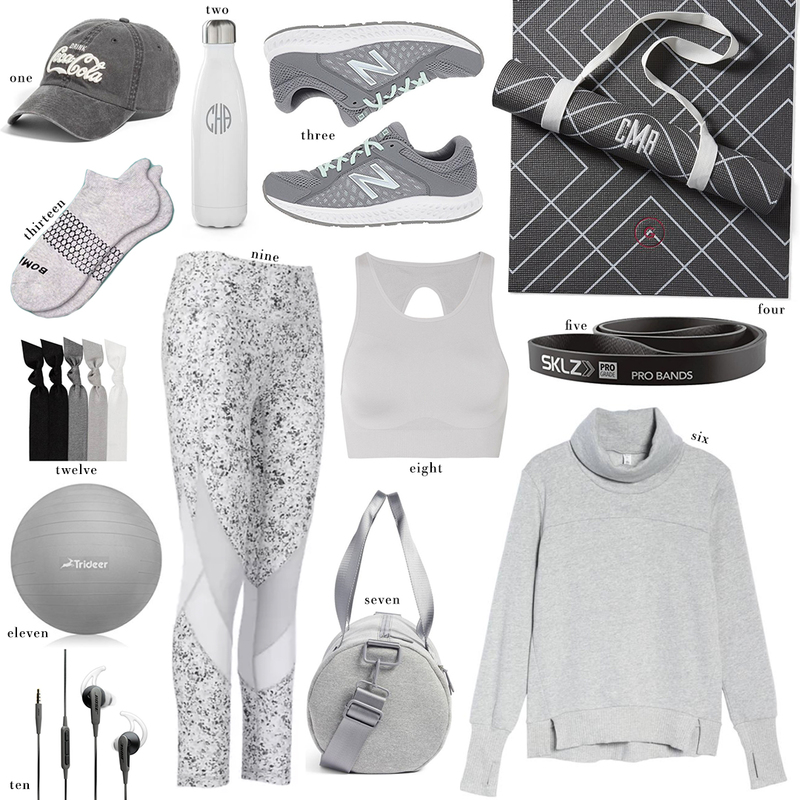 In the meantime, I’ve got a great Under $100 roundup for you today… don’t miss even more budget-friendly fitness finds (so many under $50!) below! This tee looks nearly identical to my favorite long-sleeve Lululemon top, but for only $22. Obsessed with all the muted colors available for this pair of leggings! So calming – perfect for yoga, pilates or barre! If you’ve seen me Snap around my house at all, you know I’m a big fan of pullovers and sweatshirts. I practically live in them when I’m sitting at my desk! This one is only $25 and comes in three colors. Add some spring color to the mix with this coral pink bra and these leggings. Loving these colorblock leggings from Old Navy! The blue pair is my fave. I found a high shine bra and leggings combo that looks a lot like my Lululemon outfit from Monday for under $60! Looking for something cute to throw on over your workout clothes post workout? Check out this sweatshirt and this twisted pullover. If you’re on the hunt for a high-support bra under $30, look no further. These hot pink leggings from the J.Crew x New Balance collection are so fun! I kind of love the layered look of this sports bra and matching pants. Different and cool. These constellation leggings look way more expensive than they are – so pretty! This jacket has a quilted vest bodice and the sleeves you’d expect from a Lululemon pullover – love it! It’s just under $50.